You know what sheet masks are by this point. Yet seeing them in the flesh (or on Chrissy Teigen’s Instagram), doesn’t answer all the questions you may have—especially if you’re skeptical that they’ll actually work on your skin issues. So we went to a few pros to break down everything you need to know about this massive beauty trend, plus a few sheet masks you have to try. They’re super popular partly because they’re so easy to use. At least that’s what Dr. Hadley King, board certified dermatologist for SKINNEY MedSpa, told us. Sheet masks, originally an Asian beauty trend that’s picked up steam in the U.S, are extremely user-friendly. You don’t have to worry about using too much or too little product—everything you need is already infused in the mask. “They consist of a thin cotton sheet moistened in a liquid-based formula,” explains Dr. King. “They have become the lazy girls’ facial, and their popularity has been fueled by social media’s trend of celebrity sheet mask facial selfies.” But they’re not all made of cotton. Some brands have formulated their own materials to best infuse the ingredients on your skin. You don’t have to wait 12 weeks to see results. So they’re simple to slap on your face, but they also work fast, which is something that celebrity dermatologist Dr. Harold Lancer believes makes them a big draw. “In my experience, people love a quick beauty ‘fix,’ and sheet masks offer just that,” Dr. Lancer says. Sheet masks work like a bandage. There’s a ton of different types of sheet masks. The list goes on and on. Leaders make a sheet masks to minimize pores and specifically for anti-aging, while Dr. Jart+ has a mask that is cut and shaped specifically for the skin on your neck. While you’ll find lifting, acne-clearing, plumping, brightening, and countless other versions out there, Dr. King tells us that they’re all mostly used to boost hydration. So if you’re dealing with dry and flaky winter skin, this may be the time to finally try a sheet mask out. We love Talika Bio Enzymes Hydrating Mask and the Dr. Jart+Dermask Water Jet Vital Hydra Solution ($6, sephora.com) for this very reason. But if you have acne-prone skin, you might want to talk to a dermatologist. Dr. Lancer says that if you have persistent acne, going nuts on sheet masks might not be the be the best idea.”I often notice that patients working to cure their acne end up trying a bevy of different products in their determination to cure their acne, but testing out so many different ingredients on already inflamed skin can lead to further irritation and dryness,” he says. In addition, Dr. King tells us that the heat the mask creates on your skin could cause some problems on acne-prone skin. 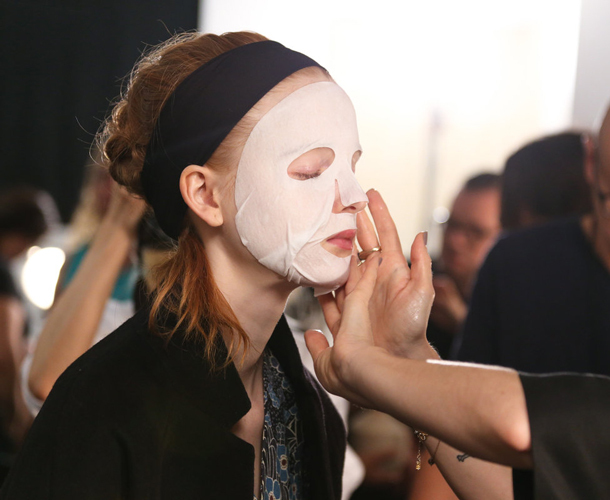 “The occlusion of the mask on the skin can increase the temperature of the skin,” she says. “This temperature increase can increase the bacteria count on your skin, which can cause acne.” To avoid this, she suggests testing a small area of your face instead.